While the Federal Government�s credit rating dropped, Florida�s credit outlook improved. Standard and Poor�s revised the state�s outlook from negative to stable. 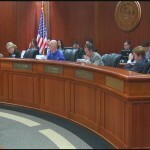 The state is using the news to refinance its old debt and save millions of dollars, and as Whitney Ray tells us, Governor Rick Scott is using the state�s credit rating to attract new businesses. Roads, school construction, and restoring the Everglades are just a few of the massive projects that the state borrows massive amounts of cash to finance. To date the state owes 23 billion dollars but efforts to refinance those loans are underway. That�s because Florida�s AAA bond rating has improved from negative to stable. S&P revised Florida�s outlook in July. Since then Chief Financial Officer Jeff Atwater says the state has refinanced 1.5 billion dollars in bonds, saving 135 million dollars. �We went through got lower price, because a AAA bond rating can give us that. In this marketplace, there aren�t too many of us out there with that rating,� said Atwater. 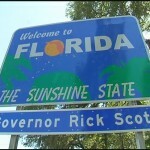 Florida�s improved outlook comes as the Federal government credit rating is declining. And while Congress was arguing over the debt ceiling, Governor Rick Scott was talking to the rating agency about why he thinks Florida is a good investment. State budget cuts and tax reductions helped Scott convince S&P to improve Florida�s credit outlook. The governor is using the same pitch on out-of-state businesses hoping they�ll also consider Florida a safe bet. While Scott�s budget moves helped improve the state�s outlook, the reduction in property taxes is hurting some of Florida�s water management districts. The South Florida Water Management District�s credit rating was downgraded because of layoffs that resulted from state budget cuts.